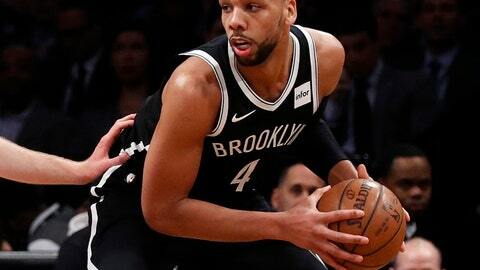 NEW ORLEANS (AP) — Two people familiar with the situation say free-agent center Jahlil Okafor has agreed to a two-year contract with the New Orleans Pelicans. The people spoke to The Associated Press on Wednesday on condition of anonymity because the agreement has not been announced. They say the contract includes a team option in Year 2. Philadelphia made 6-foot-11 Okafor the third overall pick out of Duke in the 2015 NBA draft. But Okafor’s production fell considerably last season from the nearly 15 points and six rebounds he averaged through his first two seasons with the 76ers. He appeared in only two games with Philadelphia last season before being traded to Brooklyn, where he played about 13 minutes per game as a reserve, averaging 6.4 points. Okafor joins projected starter Julius Randle among the new centers the Pelicans have acquired since DeMarcus Cousins‘ departure in free agency for Golden State.